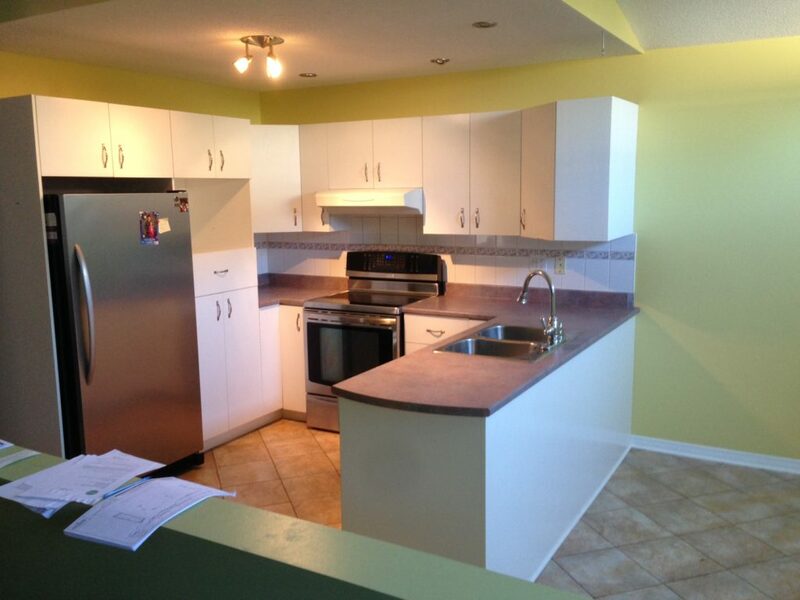 Natalie and Ben’s kitchen was in need of an update and they also wanted to reconfigure the layout. 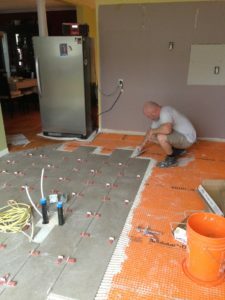 Day 5: The tiles are going down. Tiles are the Verde range from Interstone. Nice neutral colour choice. 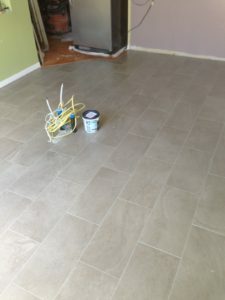 Day 6: the tiles for Nathalie and Ben’s kitchen are laid and grouted. Cupboards go up on Monday. 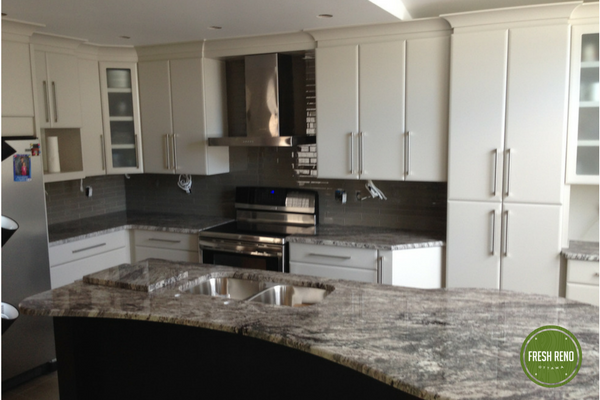 Day 12: Nathalie and Ben’s kitchen is nearly done. 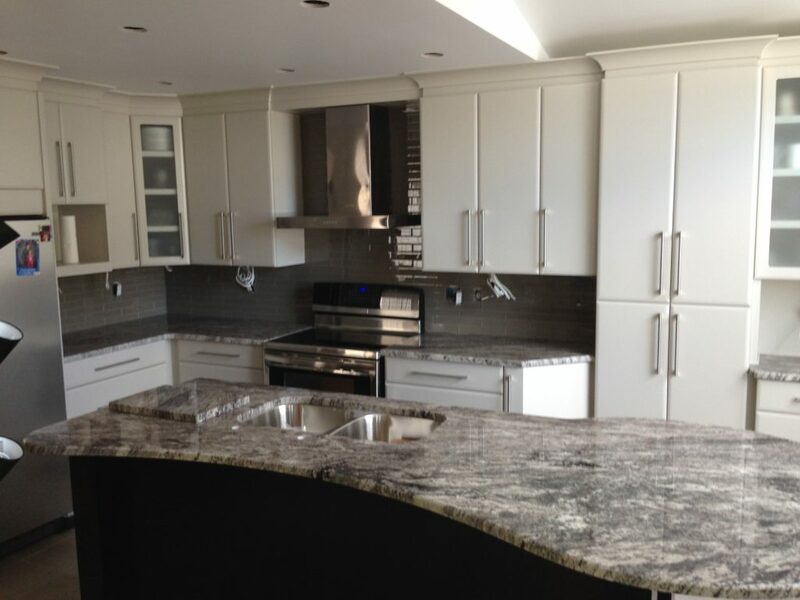 The cupboards are in, counters are installed and backsplash tiles are done. The electricians will come by tomorrow to connect the under-cabinet lights and ceiling pot lights.